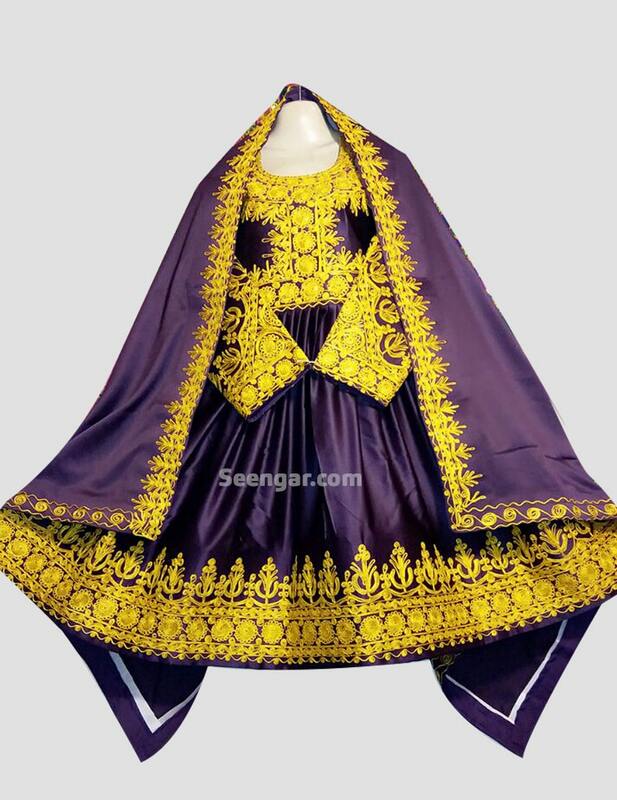 This one of a kind deep amethyst Afghan frock showcases a royal design. 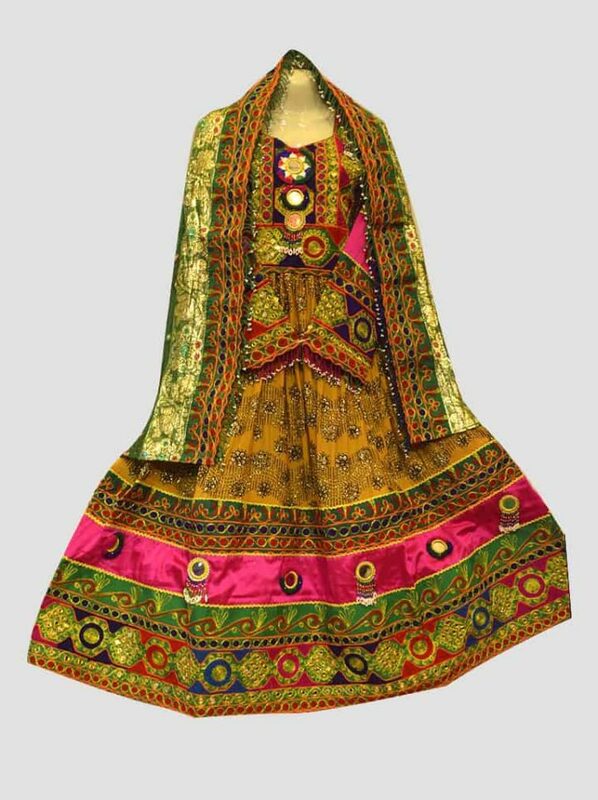 As apart from the base color, the dress only showcases embroidered work in an inviting yellow color. 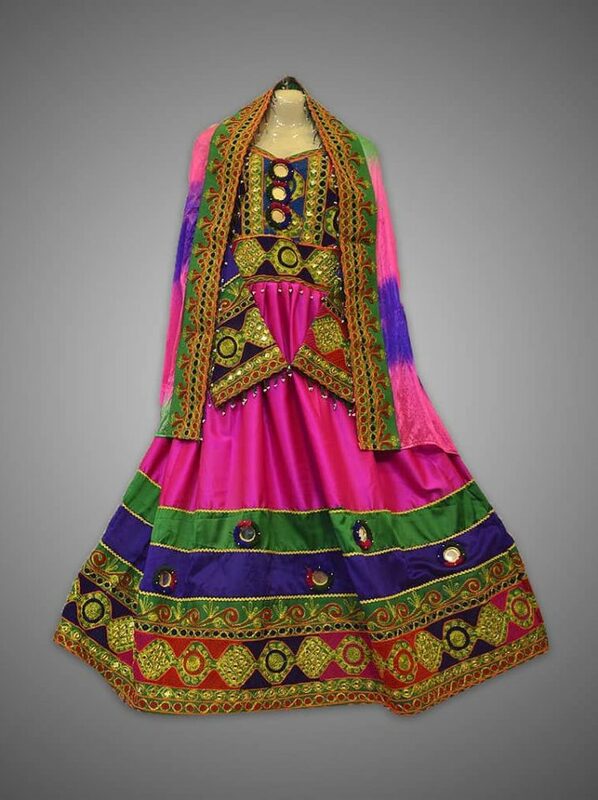 The same theme is followed on the dabata and helps add life to the dress. 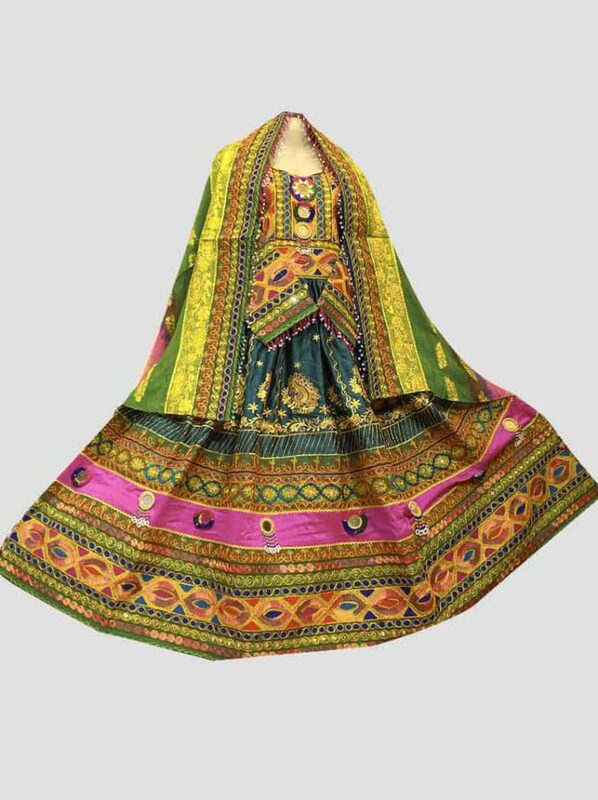 This full sleeved dress is the perfect addition to your traditional collection, as it offers a stunning design; along with inviting colors. 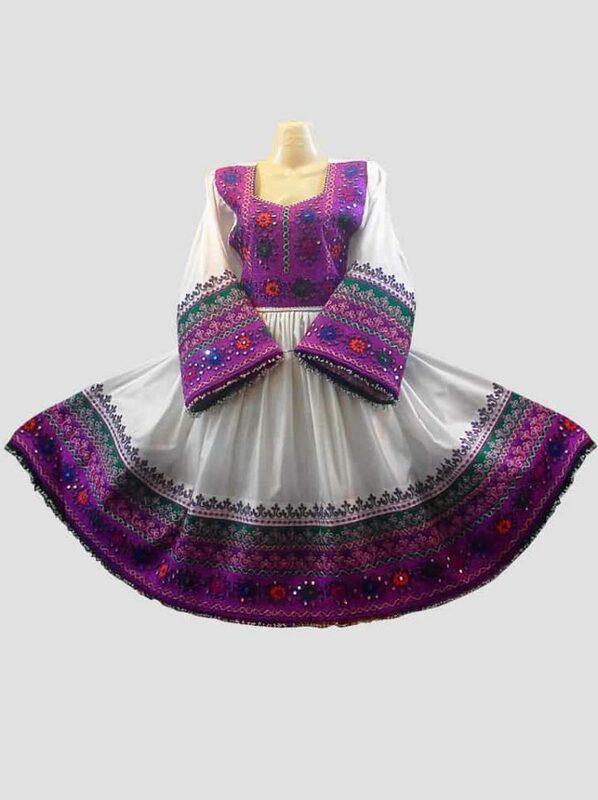 Moreover, this dress is available in five different colors for you to choose from.